Staring at gooey peanut butter, threatening to spill over the top of a newly opened jar must be what true love feels like. I love peanut butter and these no bake treats are perfect for combining that love with one of my other true loves, chocolate. But these treats are sugar free and are made with completely natural ingredients. 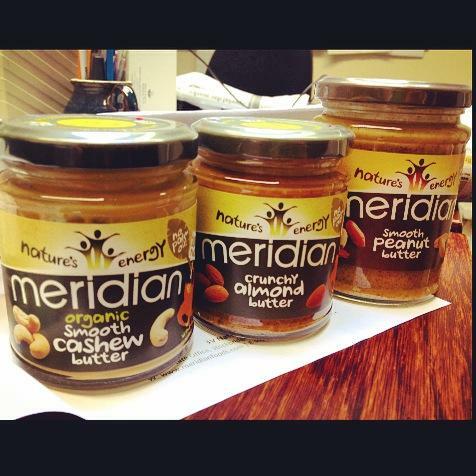 I was kindly sent some Meridian Foods crunchy almond butter and smooth peanut butter to sample. Meridian Foods peanut butter has long been my favourite PB brand; not only because it tastes amazing but also because it has nothing added to it. I hadn’t tried the almond butter before so this gave me the perfect chance to experiment and I couldn’t wait. Mix the almond butter, peanut butter, honey, coconut and sultanas until well combined. Put a tablespoon full of the mixture in to cake cases before flattening down with the reverse side of the spoon to create an even finish. Set these aside whilst you make the chocolate. To make the chocolate, melt the coconut oil in the microwave and then add the cacao powder, honey and vanilla extract and mix well. Top the peanut and almond butter mixture with the melted chocolate and then pop in to the freezer for about 20 minutes until they are set. Once they are set, they should be kept in the freezer to keep firm. And there you have it, a simple and super quick way to rustle up some treats. You can use just almond butter if you’d prefer or just peanut butter rather than combining them both and you can change the dried fruit depending on what you feel like. 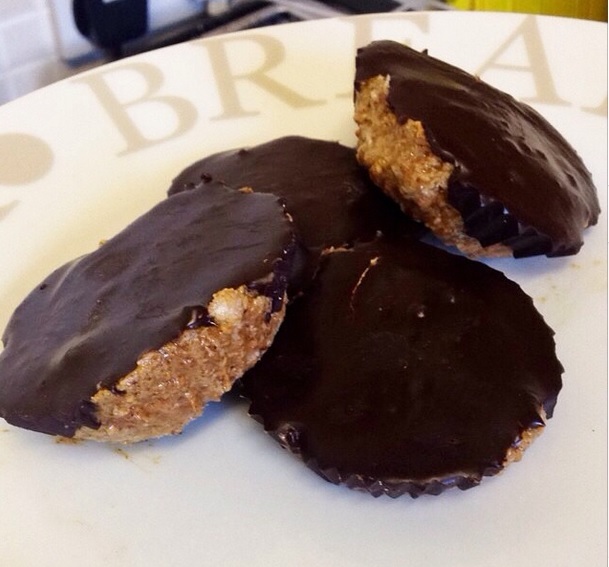 The almond butter was so tasty and the slightly nutty texture meant that these bites had a bit of a crunch to them as well – perfect!